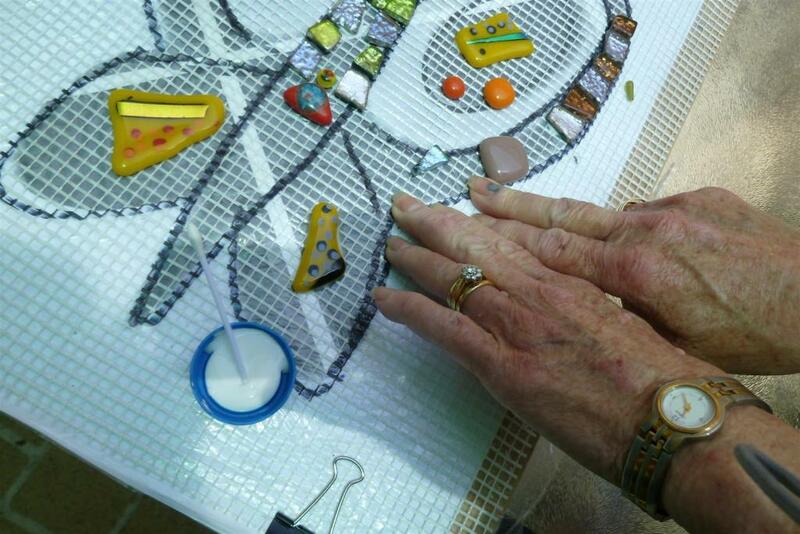 Patients and helpers create special mosaic memories in the mural. 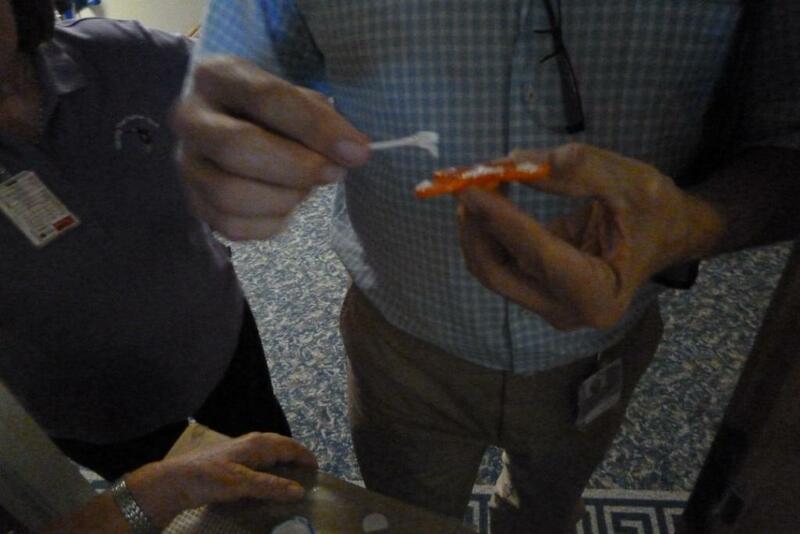 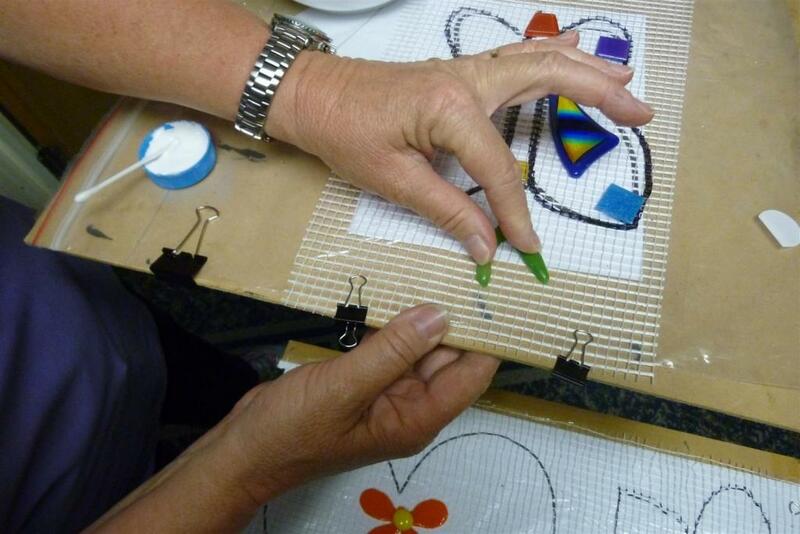 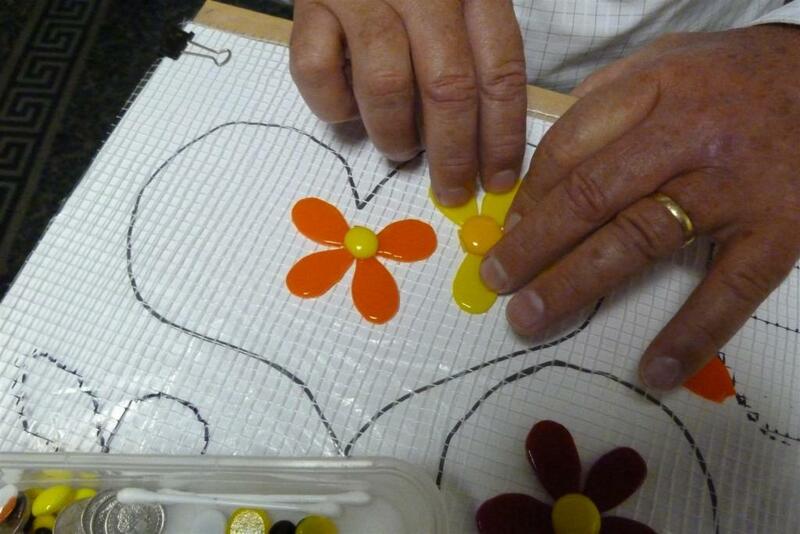 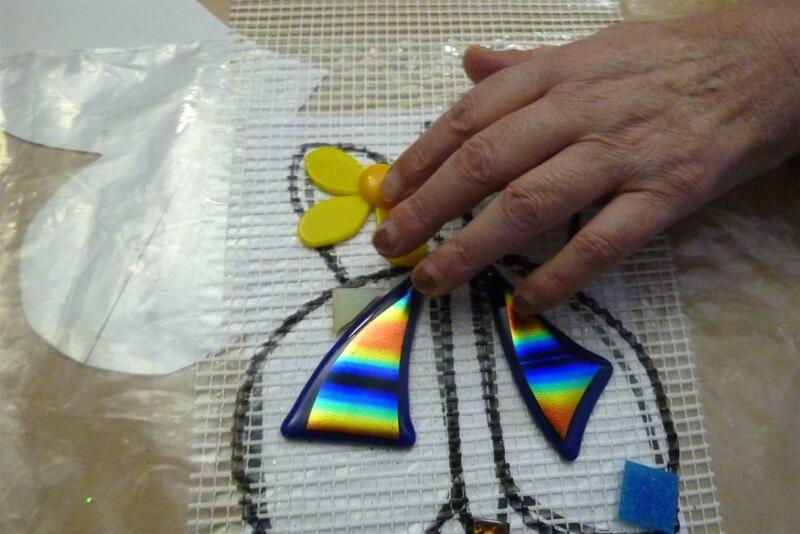 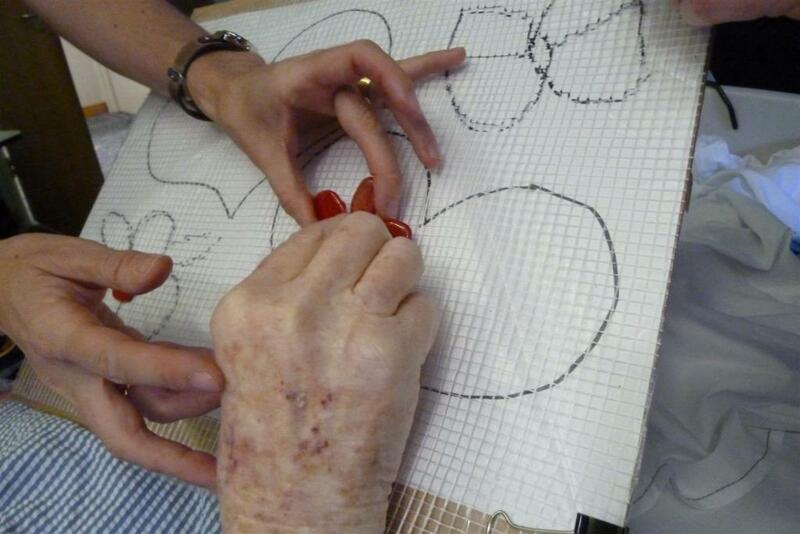 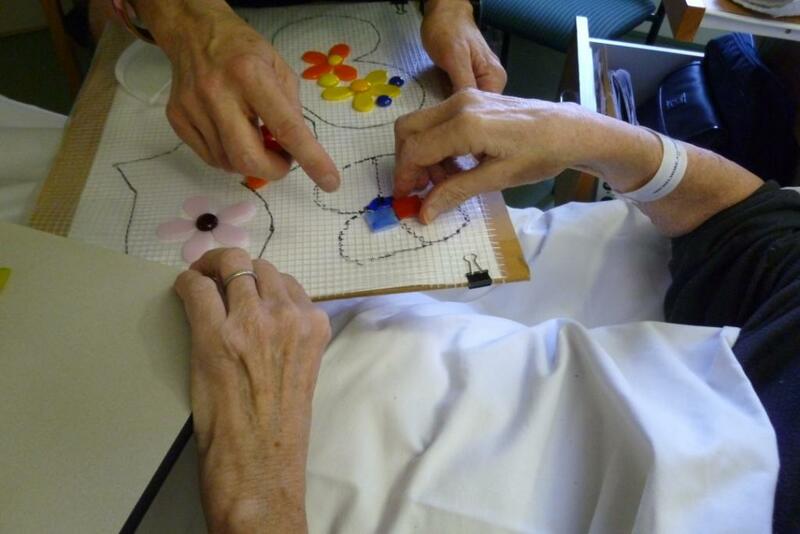 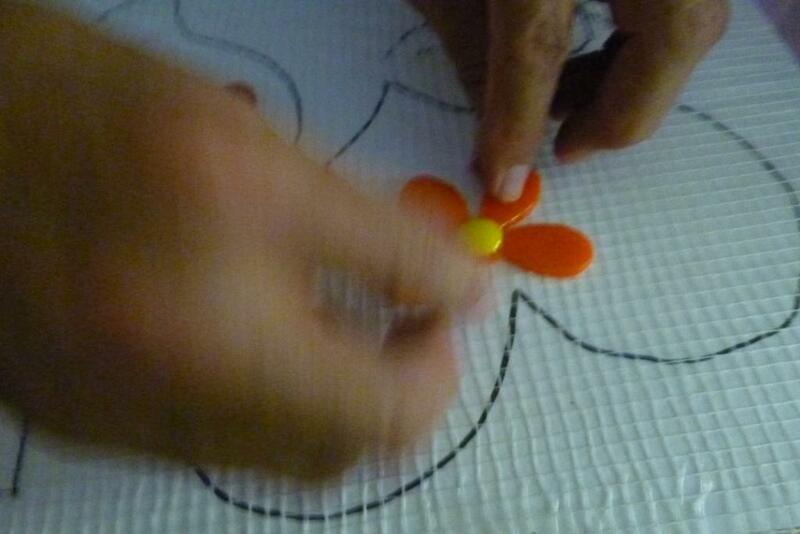 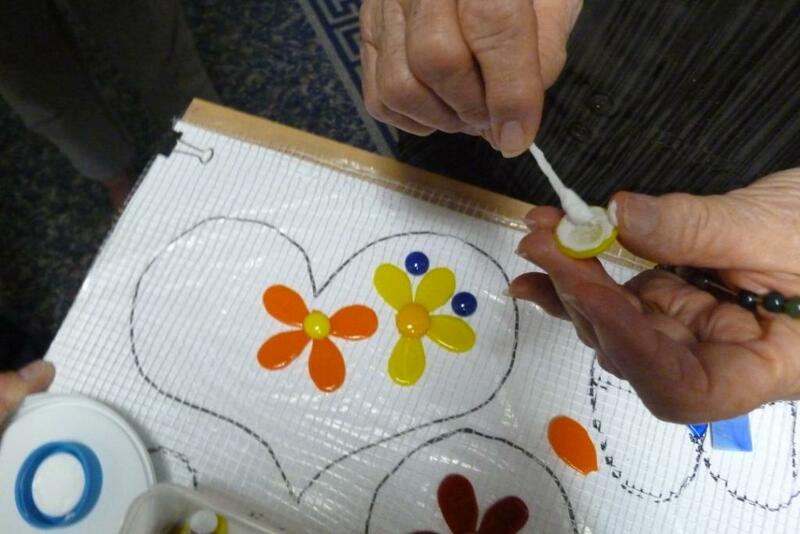 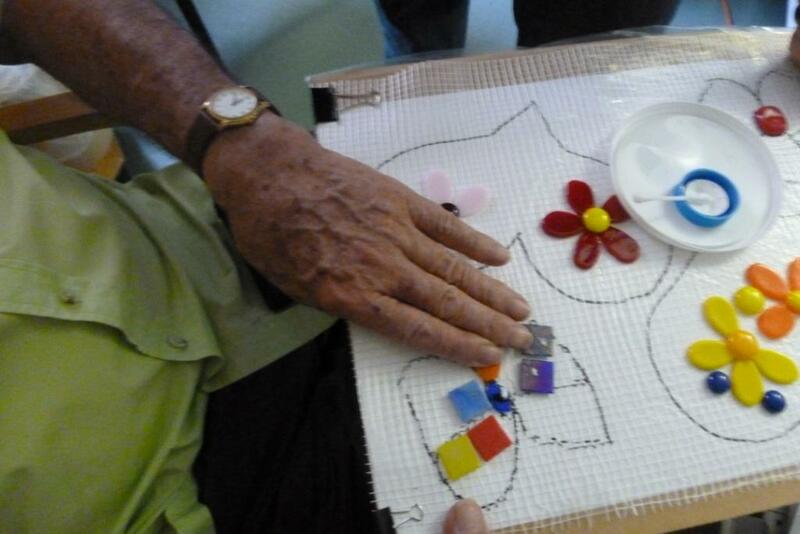 Making mosaic with patients, staff and mosaic helpers at The Wesley Hospital. 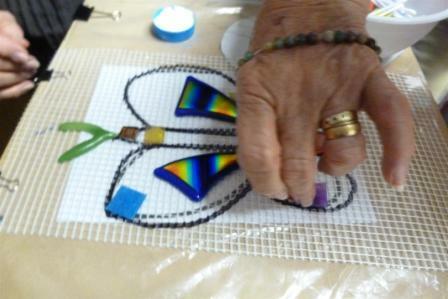 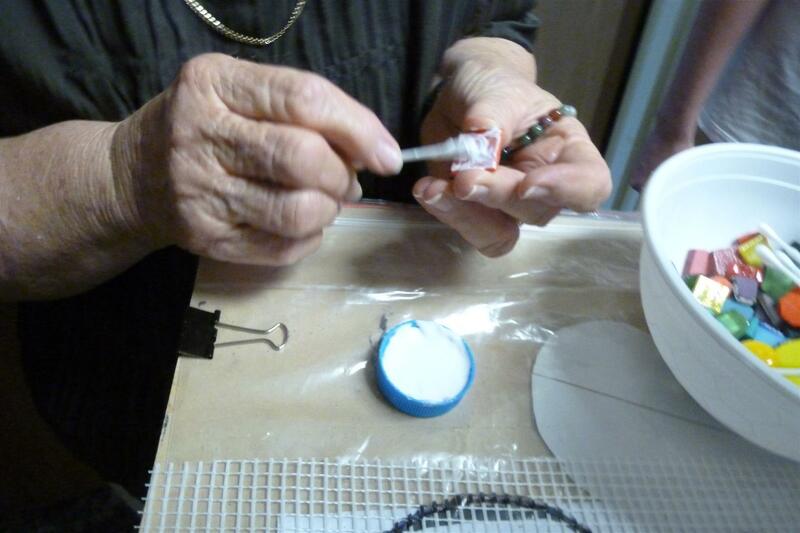 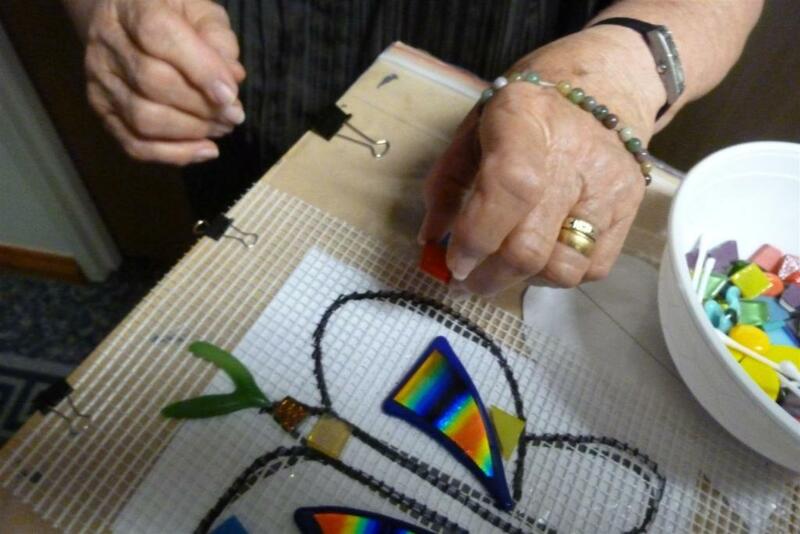 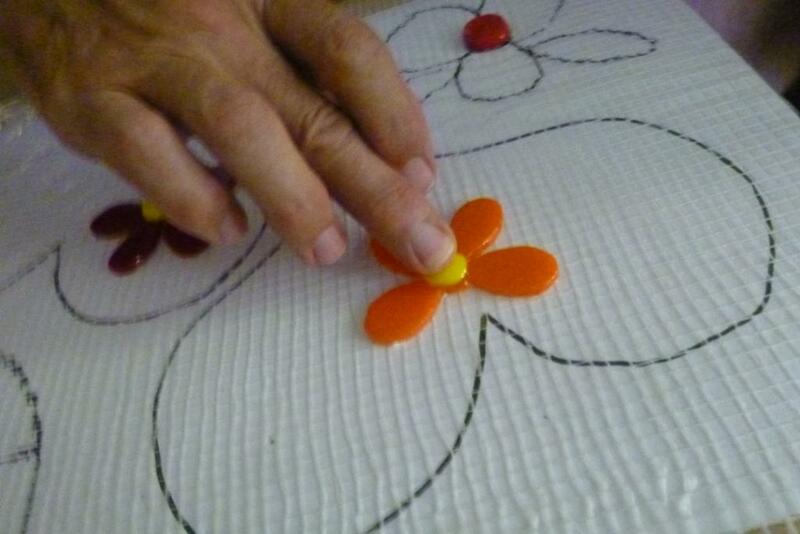 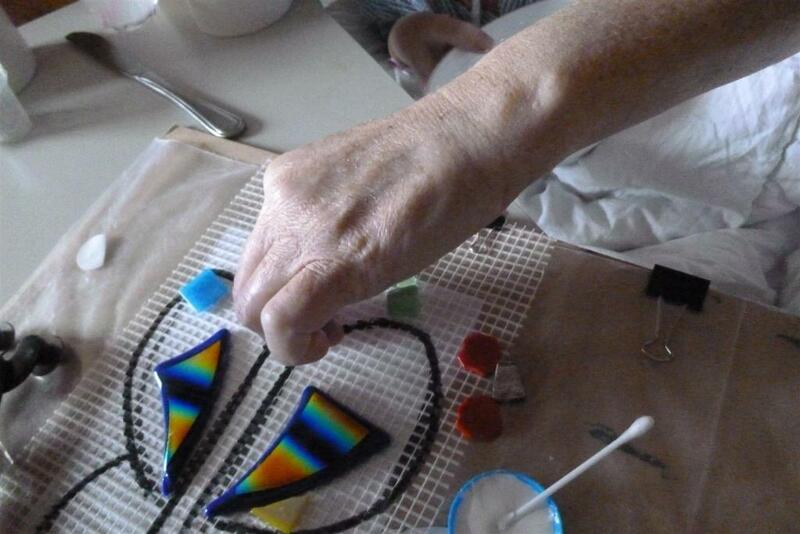 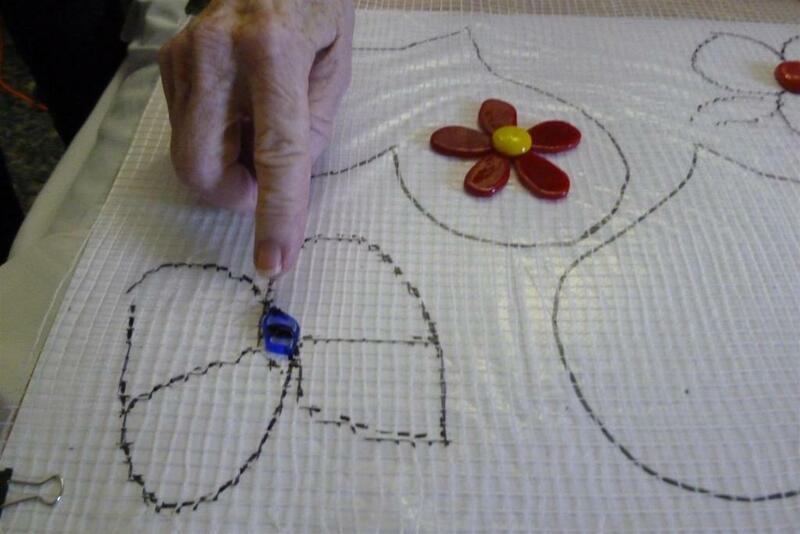 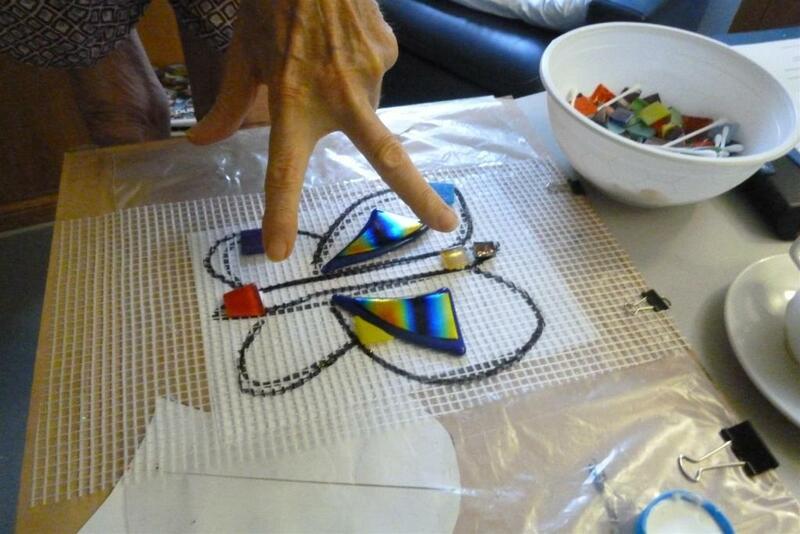 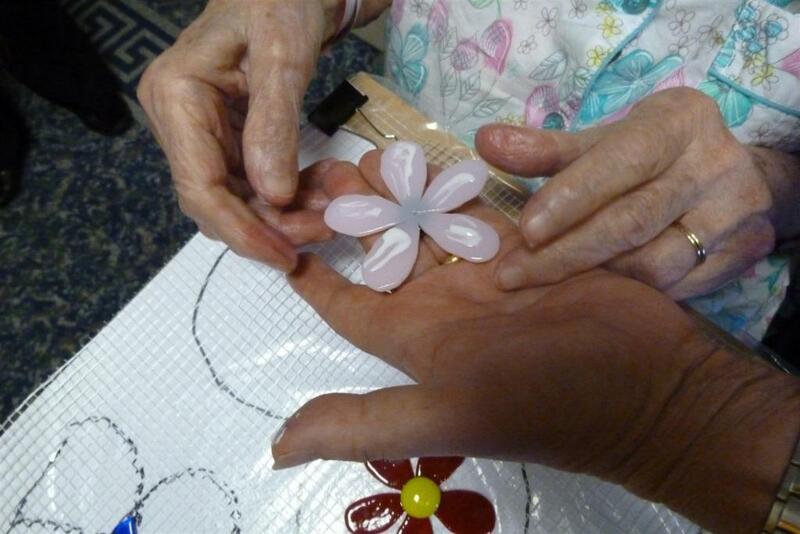 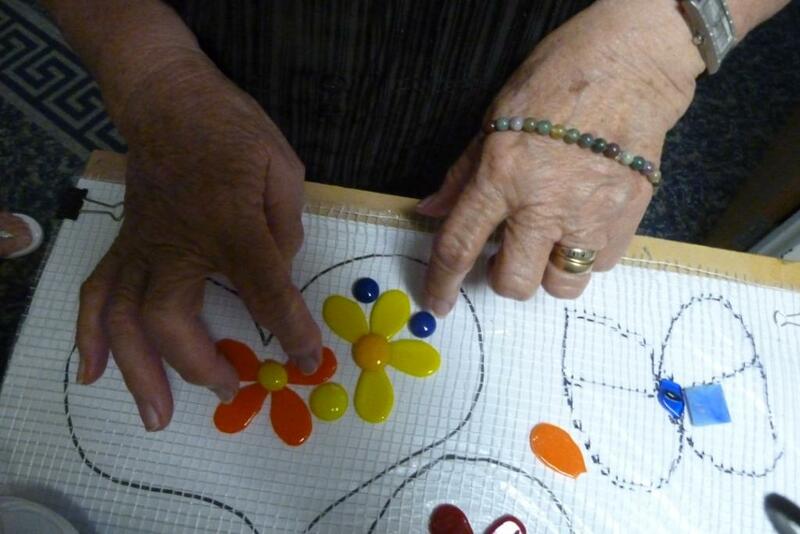 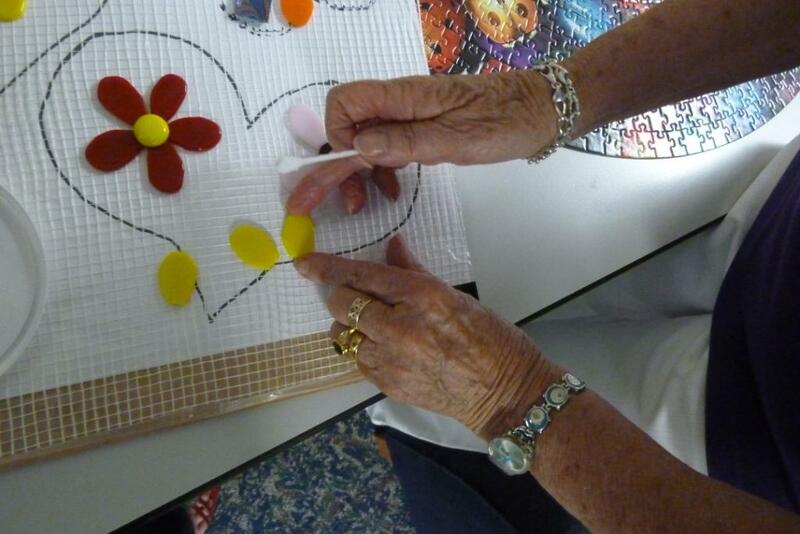 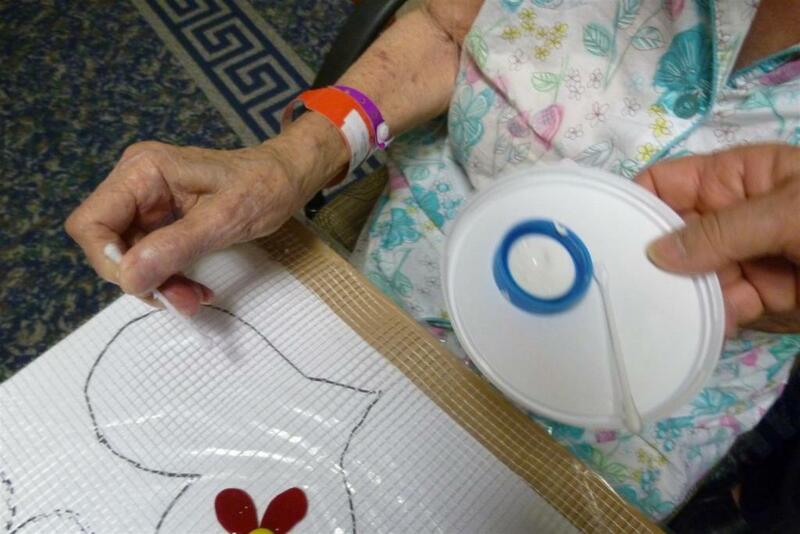 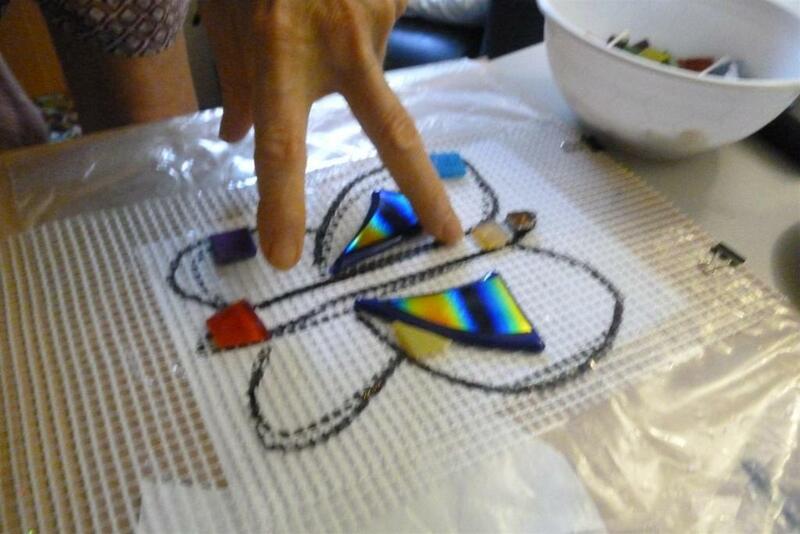 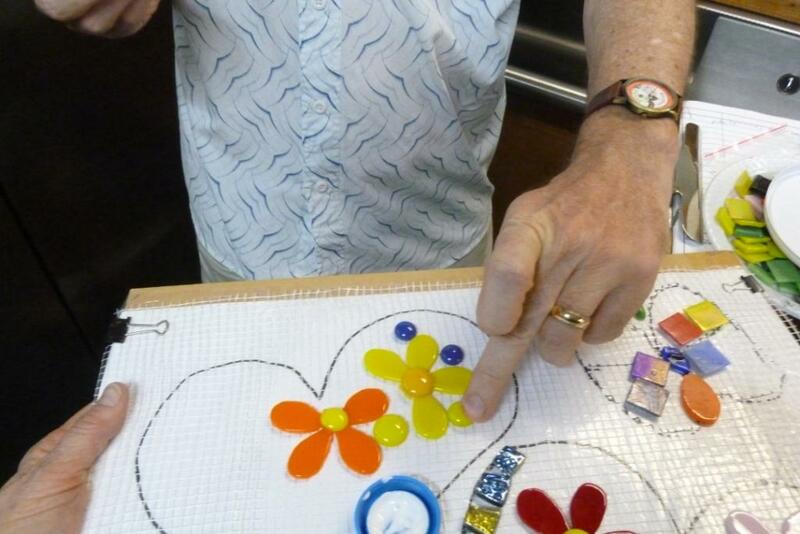 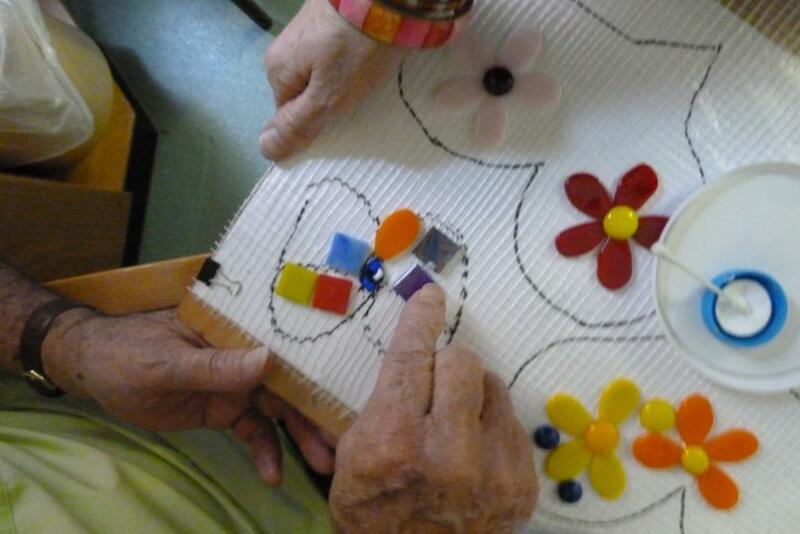 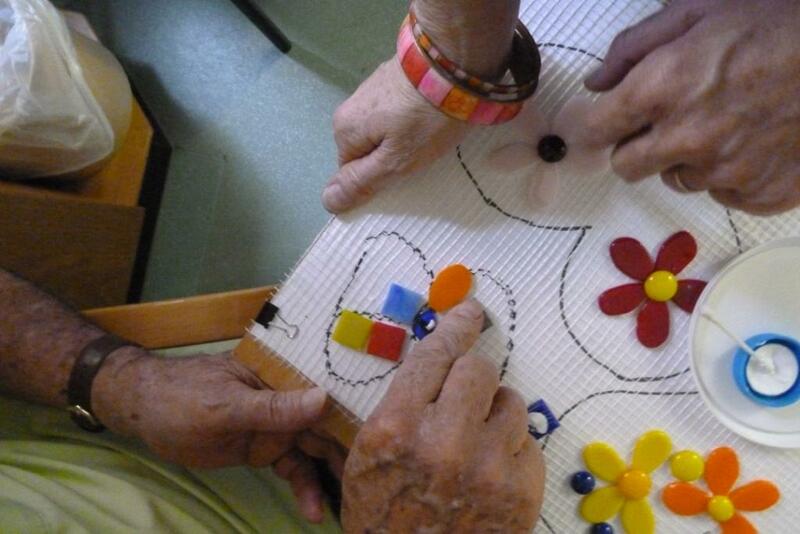 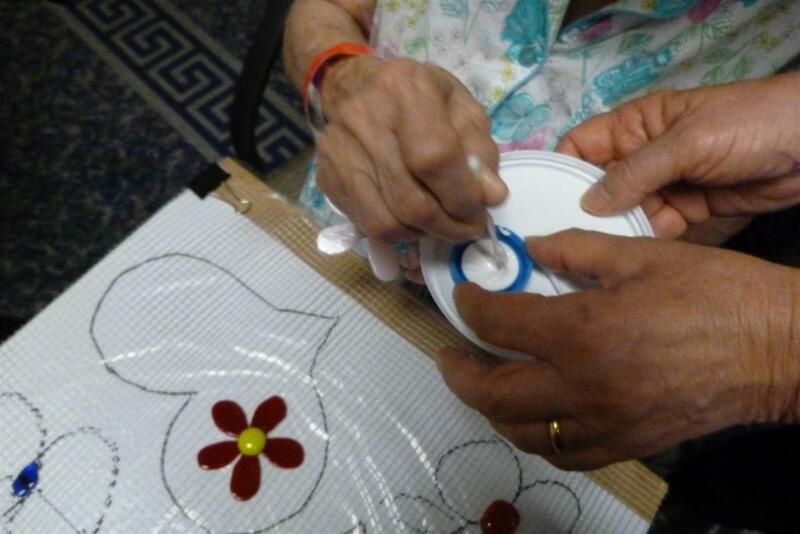 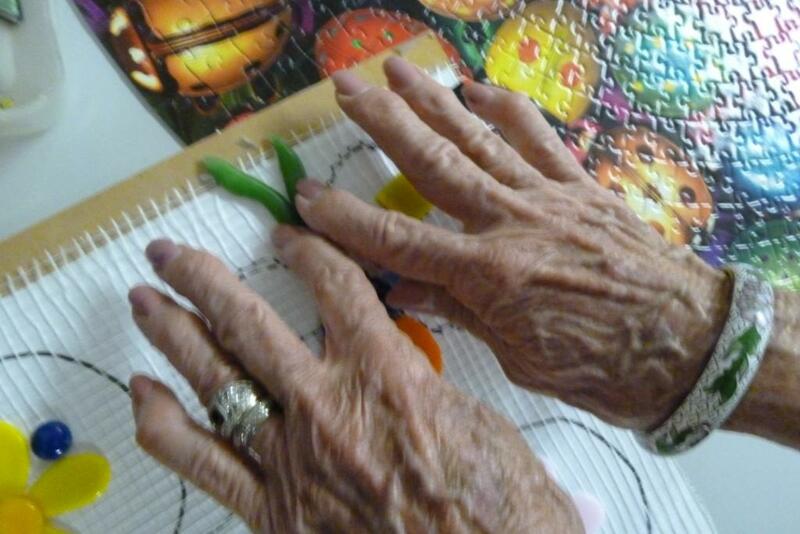 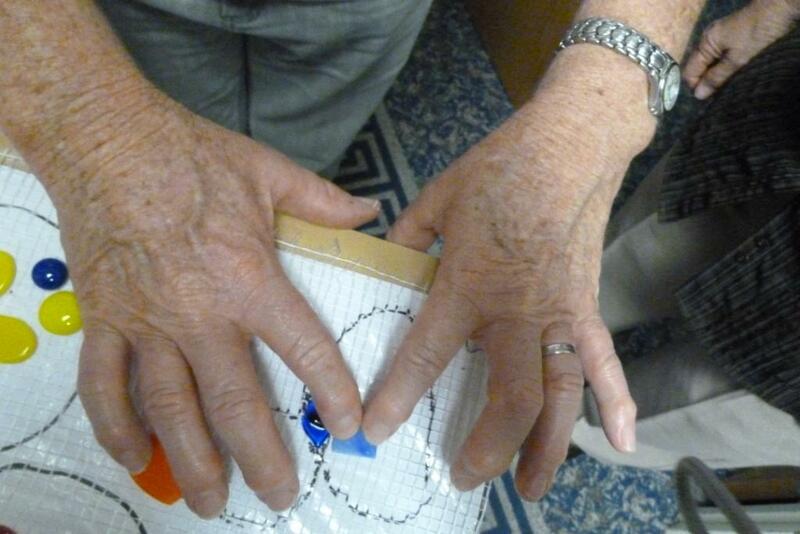 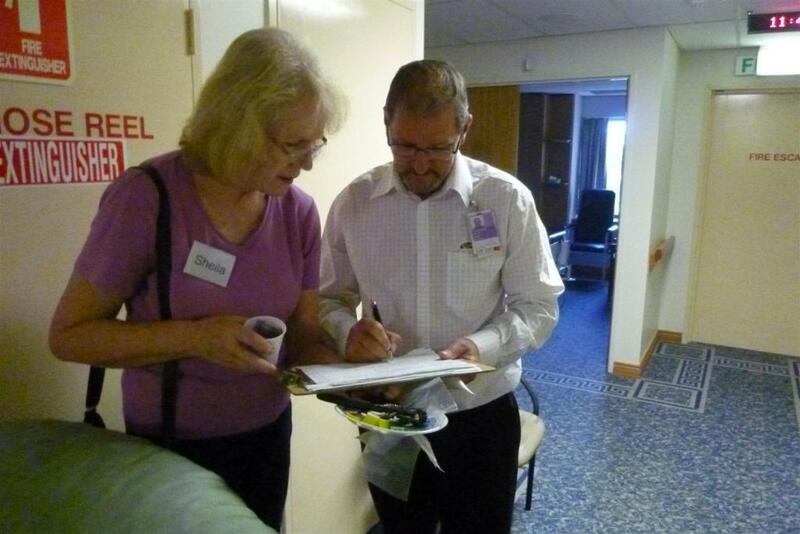 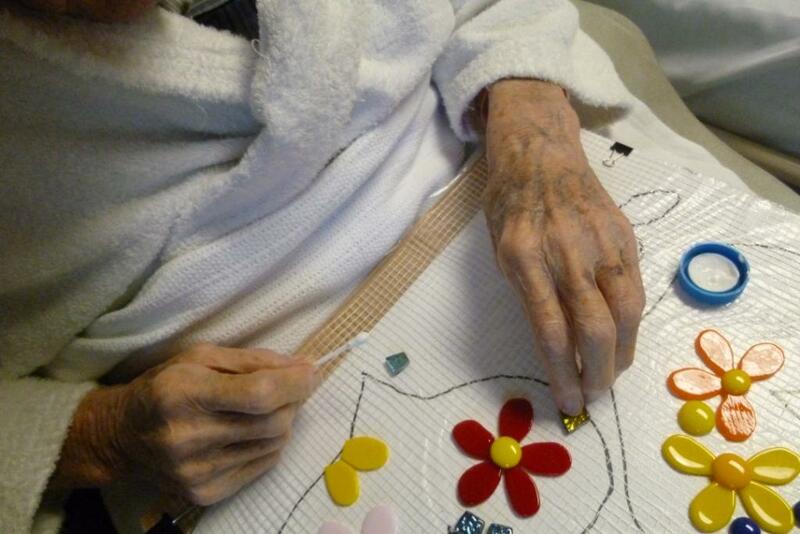 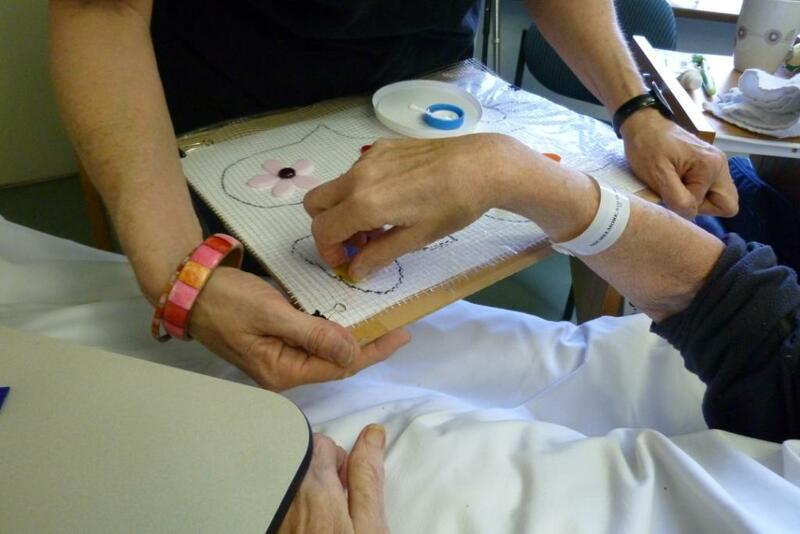 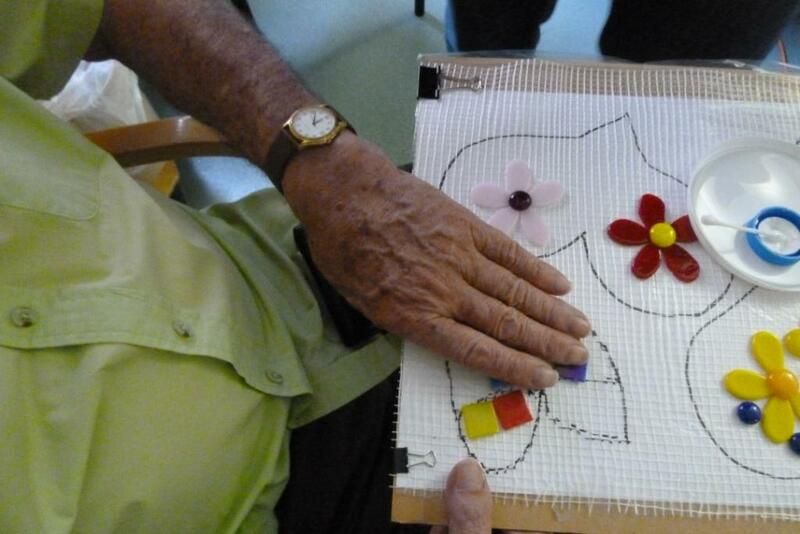 Sandy and her mosaic helpers visited the Palliative Care Unit at The Wesley Hospital. 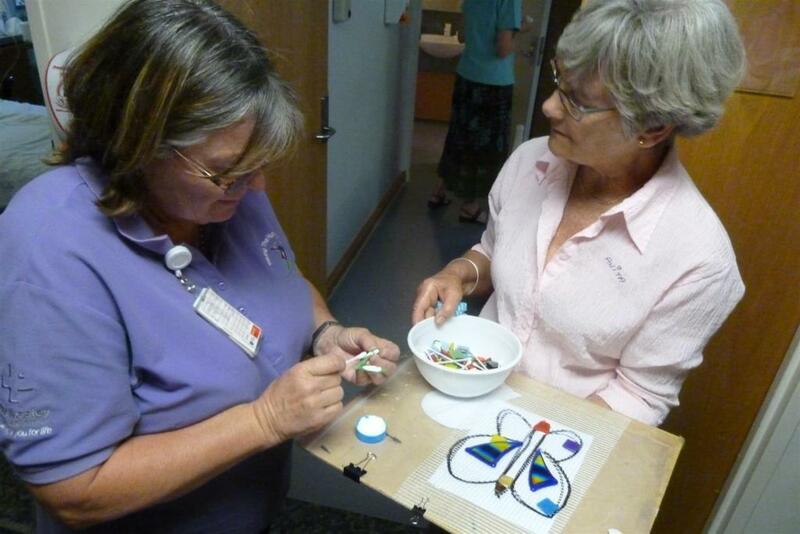 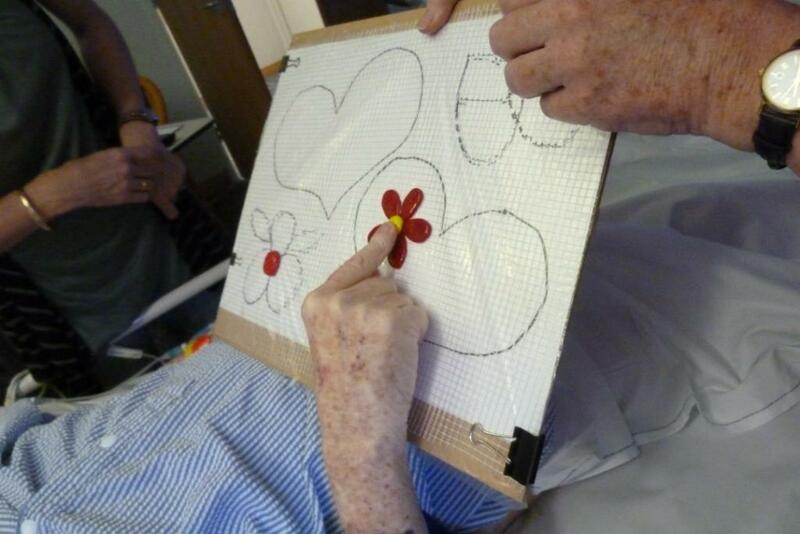 Many of the patients, family, staff and friends enjoyed adding pieces and memories to the mosaic wall mural. 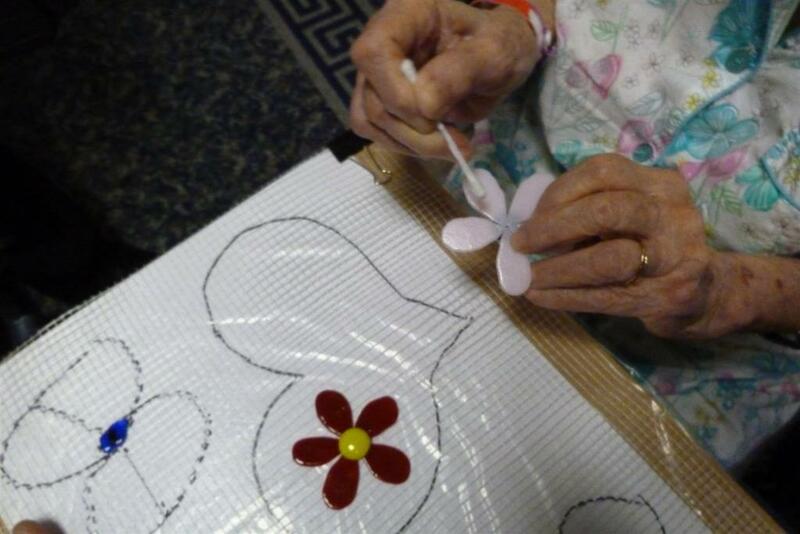 We send our love and thoughts to all the wonderful people we met during our visit on this day and thank you for sharing your time with us and adding your piece to the special mural. 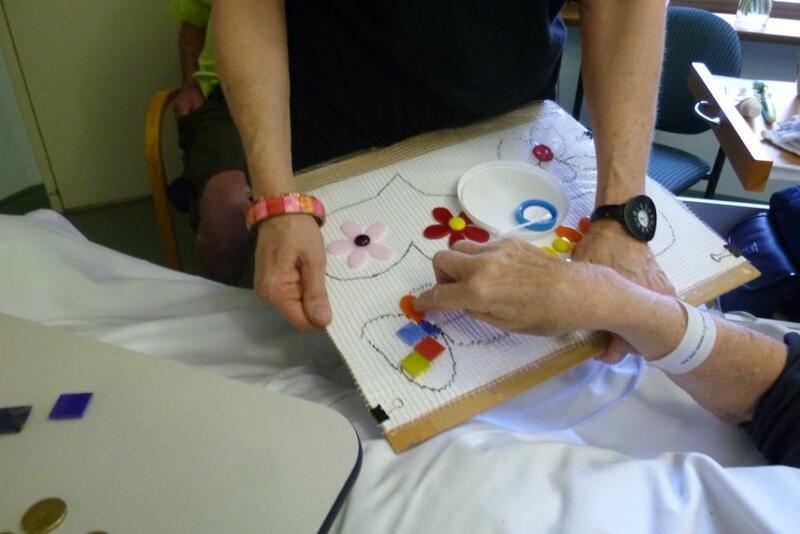 The video clip gallery shows some of the helping hands at this very special and emotional time and thanks go to the wonderful staff and everyone who particpated in the making of this mural. 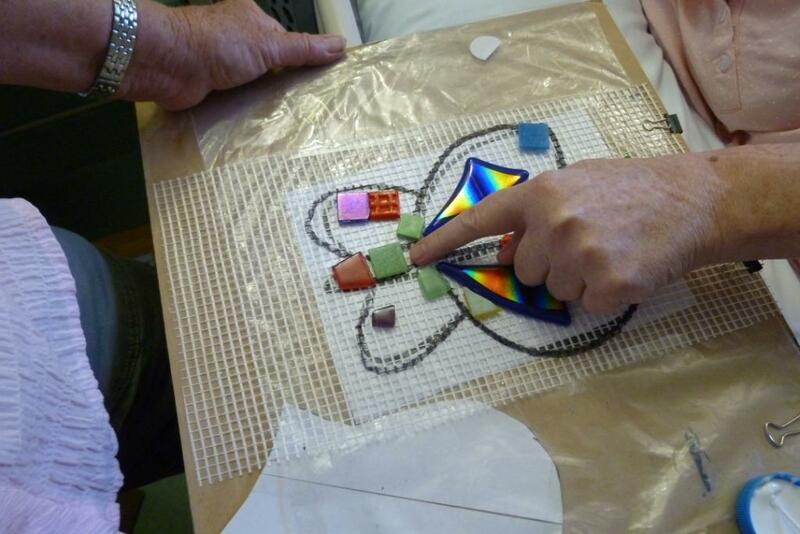 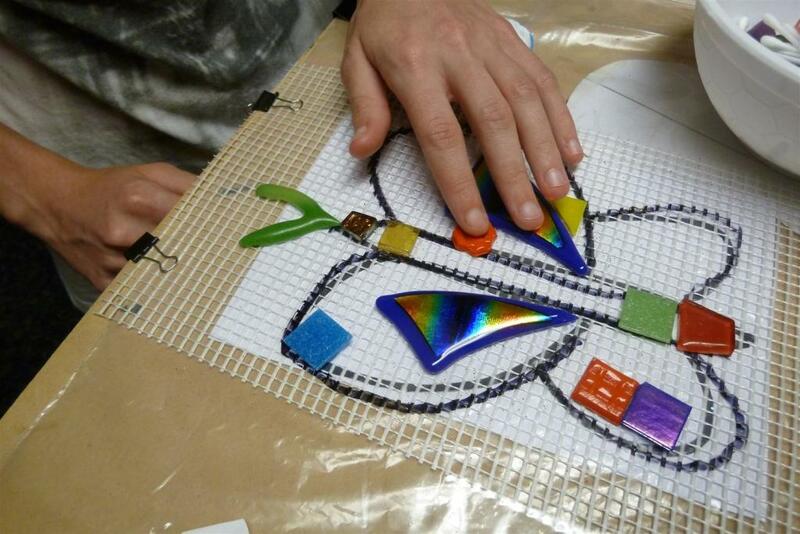 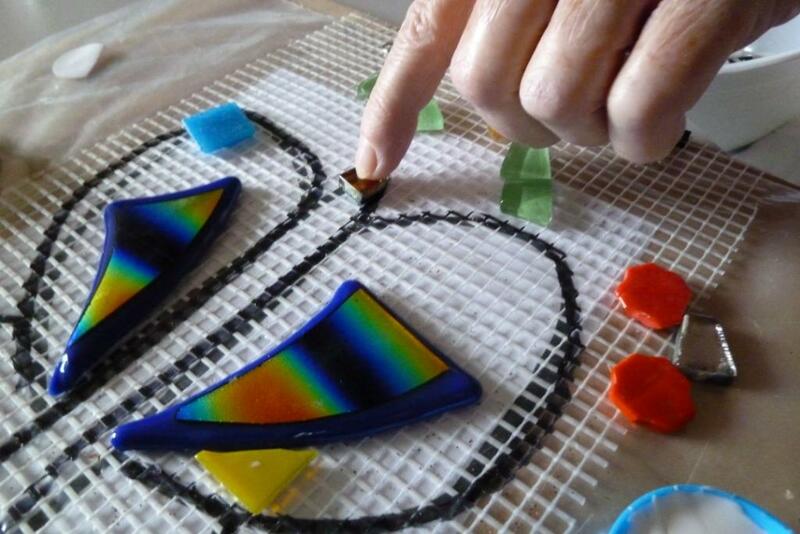 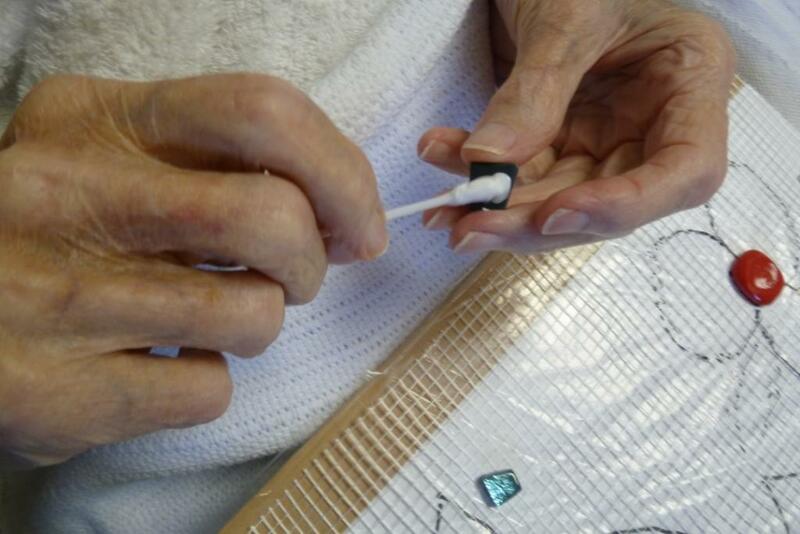 When completed at OzMosaics Studio, sometime in 2012 the mosaic mural, will be installed in the courtyard garden in the Palliative Care Unit, at The Wesley Hosptial, providing a lovely artwork to be enjoyed by patients and visitors. 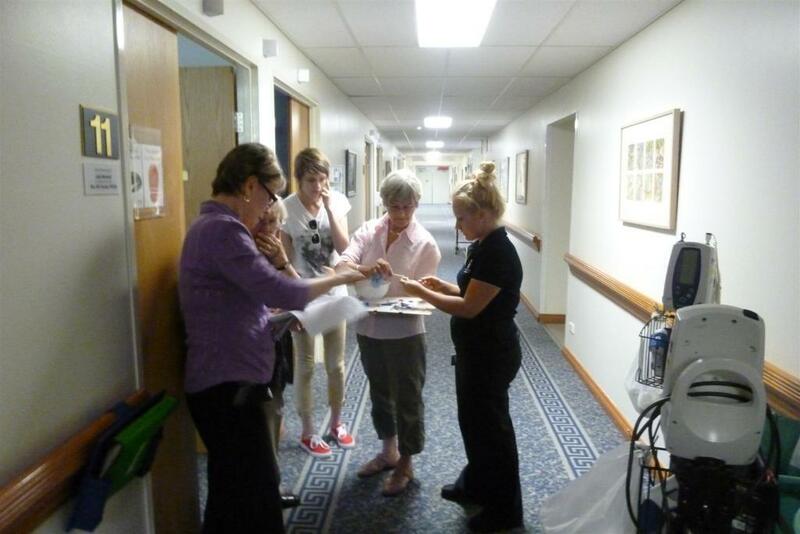 Thanks to Liz Heber and all the others who made this event possible with such care and kindness. 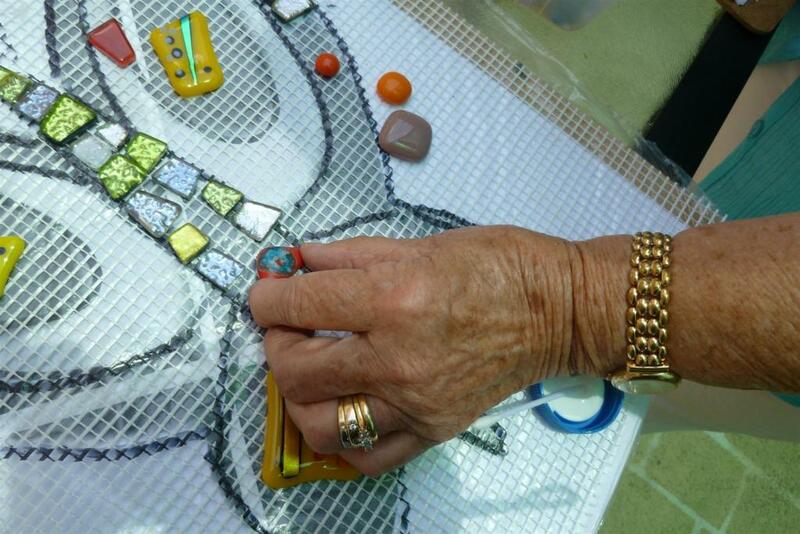 The mosaic helpers were wonderful, some travelling down from Bribie Is to help on this day and huge thanks to the mosaic addicts group who meet on Tuesdays at OzMosaics studio for offering to help complete the mural in 2012 and for all your support in 2011. 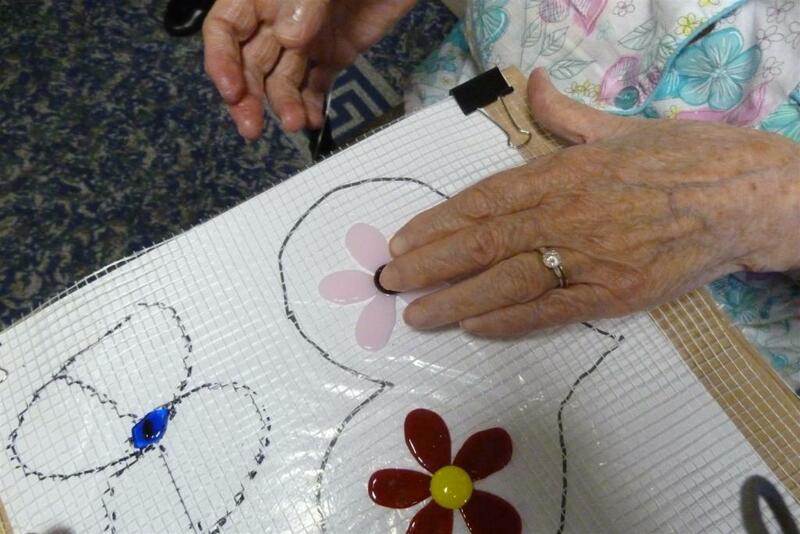 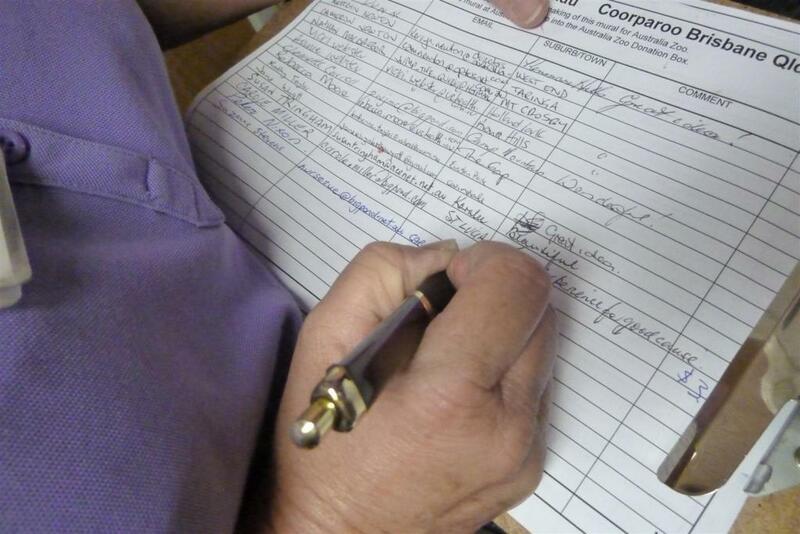 Many people donated to the mural making and all donations were given to The Wesley Fund Raising committee. 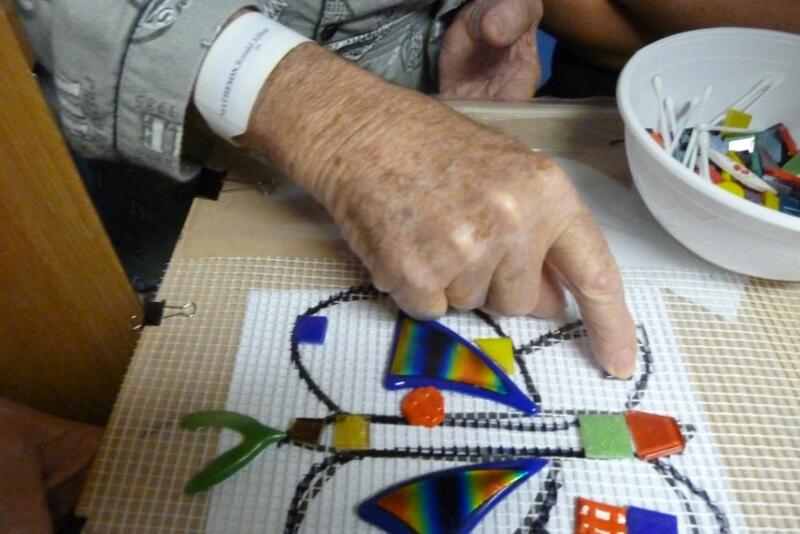 You are here: Home Special Mosaic Memories - Patients, famlies, staff, helpers and friends.